At a recent speaking engagement, I was asked, “What have you learned about effective leadership styles and ineffective leadership styles?” Without hesitation, I answered, “A long term ineffective leader is someone who employs “My Way or The Highway “leadership. They are often seen as decisive, rendering answers quickly, but scratch beneath the surface, they are generally dictating the way their subordinates should execute a task, how they should do it and do not often take kindly to new or alternative suggestions. They generally do not like to be challenged and if things are not executed exactly as they dictate it, there is not generally a good outcome for the employees/subordinates executing the task. The issue with this type of leadership is that while things get done, tasks are executed; there is no room left for “over and above” performance, the creative idea, the new way, the more efficient or more productive or effective outcome. Employees execute because they have to, they operate from a position of fear. And you know what I say about operating from a position of fear: Anytime you operate from a position of fear, you will under penetrate that opportunity. You leave something valuable on the table or you don’t realize the BEST outcome. Employees are not motivated to go the extra mile, to take a calculated risk that might pay hug dividends for fear of major retribution or repercussions, if things don’t work out or are not executed as dictated. This type of leadership style will cause valuable contributions to be left unsaid or unexecuted. 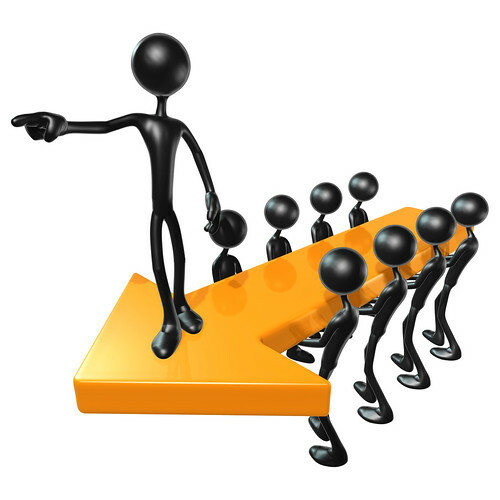 Managers employing the “My Way or the Highway” leadership style will never get the best from those who work for them. They might get 100% effort and output, but they don’t get the 110-150%, “over and above” effort, performance and output that employees give to a manager that they respect, that they believe respects them and who they believe values them for who they are. “My Way or the Highway” leadership style works in the short and intermediate run, but is not effective or sustainable in the same organization over the long run and it is not the most effective leadership style for building and growing an organization where new ideas and innovation are essential to long term competitiveness. In the next session, we’ll talk about what I have learned about effective leadership styles.